Starting off our Monday with a celebration!! 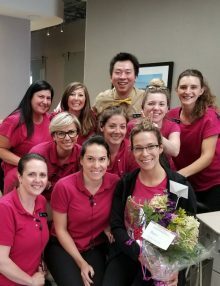 Happy Birthday Julie, your Red Hill Orthodontics Family wishes you nothing but the very best this year! Have a wonderful day, we love you.